Tablets, once known to be the next big thing after the smartphone, haven’t really kept up with the pace of technology. However, tablets are still unrivaled in some of the things they can do; reading E-books, taking quick notes, etc. 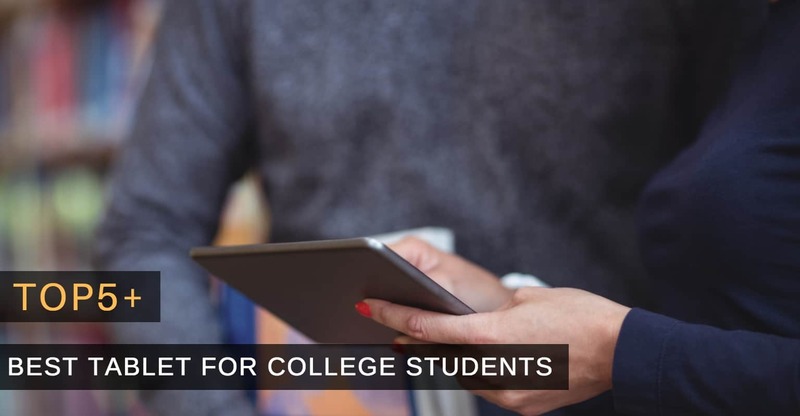 A tablet can be an incredibly useful tool for students in college. Instead of thick books weighing you down on your way to class, all you need is a sleek, lightweight tablet to be tuck in your arms. It is not only more convenient but economically feasible as well — E-books cost a lot less than their paperback versions. Now, it is time to stock up on all the tech gadgets you have been dreaming about for the past year, be it for need or just for pure pleasure. This is easily the best time to buy a tablet for college! To give you a clearer idea about the best tablet, we have gathered 7 options that are worth checking out. Budget-friendly, powerful performance, decent battery life. The Nvidia Sheild K1 is a brute performance machine, thanks to the company’s Nvidia Tegra K1 2.2 GHz processor. It also has 2 GB of RAM, which will keep you trudging along just fine. While the tablet is specifically made with gaming in mind, it can also be a great option for college, thanks to its decent battery life and affordability. The Shield K1 tablet also comes with a pretty decent display. 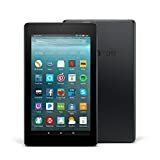 It is a Full-HD display with a 1900 x 1200 resolution and measures 8-inches, a slightly better size for reading books than other 7-inch tablets. It may not be the best display on the market, but it is still good enough for a tablet this size. The K1 is designed to look pretty understated, except for the big dual-speaker grille on the front bezels. The back is coated with a nice anti-slip surface that makes for an excellent grip. It may collect a lot of fingerprints on the back, but it definitely won’t slip easily. The tablet also looks pretty solidly built and will survive your daily routine without any issues. Nvidia claims you can get 10 hours of battery life watching videos or surfing the internet or five hours of heavy gaming. In normal usage, you can expect the tablet to last you through one day of heavy usage— a substantial claim for a tablet this size. Best-in-class app ecosystem, incredibly slim and light, fantastic screen. 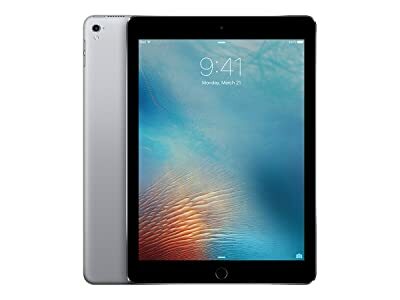 The iPad Pro is one of the most powerful tablets available on the market. Powered by Apple’s A9X chipset, it will handle anything you want to throw at it. 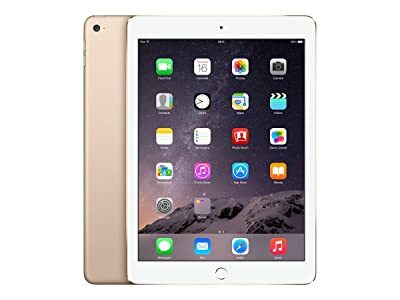 It also has 2GB of RAM which, although less than the bigger 12.9 inch iPad, is still capable of handling everything like a breeze, including switching between multiple apps without any stutters. Apple is known for their incredible displays, and this one is no exception. Simply put, it is fantastic! With a 2,048 x 1,536 resolution, it’s incredibly sharp and has excellent saturation. Apple has also added a wider color gamut that is nicer on the eyes along with a new feature called True Tone. True Tone can change the screen’s color temperature depending on the environment you are in, making reading books in the dark an incredibly nice experience. The Pro is nearly identical to its predecessor, the iPad Air 2, but that is not a bad thing. It has Apple’s iconic polished aluminum frame and still weighs as light as the Air 2 at 437g. The only changes Apple has made is to the positioning of the speakers. Now, there are now four speakers; two on the bottom and two on the top, providing a proper stereo setup. Apple estimates the Pro’s battery life at around 10 hours— a pretty accurate claim. You can expect the iPad Pro to last through a day of heavy usage easily, but not more than that. Huge screen, great stylus, decent performance. 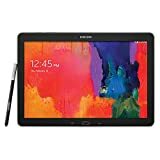 The Samsung Galaxy Note Pro may be a couple of years old, but it is still a strong contender as a tablet for college. It runs Samsung’s Octa-Core Exynos processor and 3 GB of RAM. General performance is quite smooth. There are still some odd stutters in performance but nothing to worry about. The Note Pro is all about the display; a huge slab of a Quad-HD 2560 x 1600 screen. It is sufficiently crisp, but at this size, you can expect a little drop in sharpness when seeing a lot of content on the screen— which is what the tablet is all about. You can open as many as four apps on one screen and multitask like a pro. This table is gigantic, make no mistake about it. 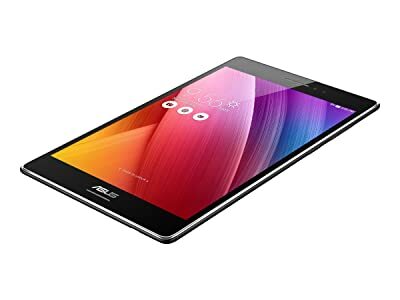 Cramming a 12.2-inch display in a tablet is a big task and, as a result, this tablet is one of the biggest tablets on the market. In fact, it feels like a full monitor display in your hands. On the back, Samsung has used a faux-leather covering that satisfyingly makes for a better grip. The Note Pro is powered by a massive 9500 mAh, big even for a tablet this size. Thanks to that, the Galaxy Note Pro can last as long as a typical 7-inch tablet. It will easily last you a full day of very heavy usage, and even two days if you don’t push it much. Affordable, super-sharp screen, great design. ASUS’ latest attempt at a budget Android tablet is a pretty good one. The Zenpad S 8 is a nifty, affordable 8-incher that can provide surprisingly good value for very little money. It is powered by a Quad-Core 64-bit Intel Atom 1.3 GHz processor coupled with 2 GB of RAM. 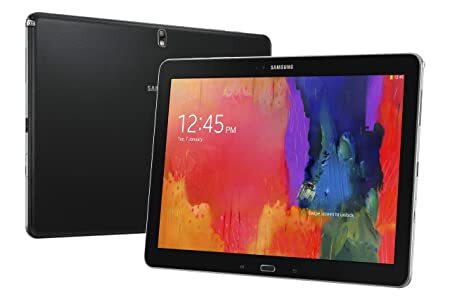 It may not beat more expensive tablets from Samsung, like the Galaxy Tab S2, but for this price range, it is practically a steal. The ASUS Zenpad S comes with a super crisp LCD with a resolution of 2048 x 1536. With a screen size of just 8-inch, that works out to a superb pixel density of 320 PPI. It is one of the sharpest tablet displays on the market, beating even premium options from Apple and Samsung. The colors too are really vibrant, with clean whites and deep blacks. The front of the device is covered with a Gorilla Glass display along with a metallic finish frame. On the back, you’ll find a non-removable aluminum casing. All in all, it is one of the most premium sub-$200 tablets you’ll find today. And if that’s not enough, the Zenpad S is also incredibly durable. Solidly made, it can even survive a few drops. The Zenpad S is pretty average when it comes to battery. ASUS claims it can last eight hours and, with light usage, you can easily make it through a day or two. But when used heavily, like streaming videos or playing games, you’ll find it struggling to make it past seven hours. A laptop alternative, excellent large screen, pen, and keyboard support. The Microsoft Surface Pro 4 is the ultimate king of the laptop-tablet convertibles. Aimed at as a laptop replacement, it also packs enough power to handle intensive tasks like Photoshop, video editing, etc. You can get the Pro 4 with an i5 processor, 8 GB of RAM and a 256 GB hard drive and use this as your daily driver. The Surface Pro 4 is one of the most beautiful and well-made tablets on the market. It has an all-magnesium, unibody casing and, despite using a powerful PC processor, is just 8.4 mm thin. The only area where the Surface Pro 4 falls short is regarding battery life. Microsoft promises over 9 hours of video playback but realistically, you will experience considerably less than that. Getting through a day can be a hard task sometimes if you push the performance a little too hard. Incredibly light, great performance, premium build, excellent app ecosystem. Apple’s devices are known for their responsiveness, and the iPad Air 2 is no slouch. Despite being underpowered as compared the iPad Pro, the Air 2 is still an impressive tablet. It comes with an A8X processor and 2 GB of RAM and is just as fast the Pro in terms of multitasking and other basic tasks. iPads have some of the best displays, and the original Air’s tablet continued that trend. With the iPad Air 2, the display has been improved by Apple even more. They have laminated the front glass to the LCD itself, giving a much better feel when using it. Moreover, it is also less reflective. Featuring the same design as the Pro, the Air 2 is simply beautiful. It is just 6.1mm thick, making it one of the slimmest tablet around as well. It also weighs so light at 437g that the naming strategy starts to make sense too. The Air 2 remains true to the original Air’s battery claim of over 10 hours, which is impressive considering how much thinner it is. 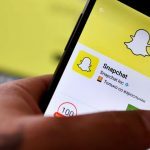 Games and streaming videos can still eat up a considerable amount of battery, but it will easily last you a day, or even more when not doing such processor intensive tasks. Inexpensive, long-lasting battery life, vibrant screen. Lenovo’s budget friendly Tab2 A10 comes with a decent-sized 1.5-GHz MediaTek MT8165 64-bit processor and 2 GB of RAM. 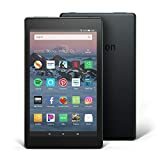 Overall performance is solid, and you won’t be left wanting for more power if you want to use the tablet for basic surfing, reading e-books or watching videos. 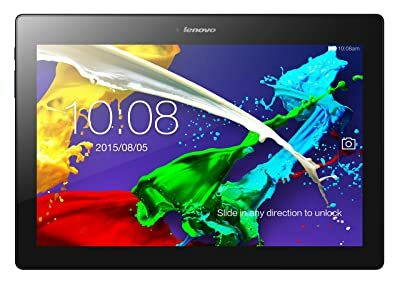 One of the only 10-incher tablets available around 200, the Lenovo Tab2 A10 comes with an impressive display. It has a 1920 x 1080 IPS panel which outputs sharp, crisp images. Colors were sufficiently saturated and were rich in detail. The tablet’s brightness level also beats other tablets in this range. The Tab2 A10 has an understated look. It has an elegant metallic blue polycarbonate shell. The back is tapered slightly on the sides, making it much easier to hold one-handed. For this price, this is easily one of the best-designed 10-inch tablets you’ll find. It comes with a large 7,000 mAh battery that will keep you from looking for power outlets for a good long day. On average usage, it can last around 12 hours. 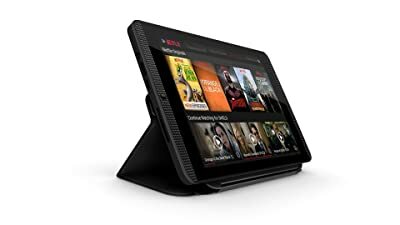 Buying a tablet is just like the purchase of a smartphone, but there are a number of additional factors you need to consider, especially if your main purpose for buying it is to use it for college. It doesn’t have to be a powerhouse (unless you plan on gaming in class) but does need to have a great screen for reading in low light as well as daylight and a battery big enough to deliver it. The most important aspect to consider when purchasing a tablet (or any tech gadget) for college is the battery life. If you’re buying a tablet, it needs to be able to handle all the workload. Busy, tough days and hectic schedule will mean that you won’t be able to spare a moment hooked to the charging port. To sum it up, there is no point in buying a device to help you get through college when it can’t last a full hard day of intense usage. After battery life, the display is the most important thing. You’ll be spending hours and hours reading stuff on it or watching videos the teacher recommended or about things you didn’t understand it in class. Not only does it need to have a sufficiently high-resolution display, but it also needs to be bright enough to be visible in daylight. You may be careful in handling your gadgets, you never know when the unthinkable may occur. Most of your college days will be spent running around the campus, and wherever you go, your tablet does too. 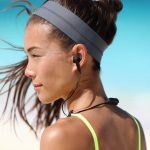 Therefore, it needs to be rugged enough to handle the daily wear and tear. Be it graphing functions, calculating higher-order derivatives, or evaluating means, there is an app for everything. However, you need to make sure the tablet you are buying can download those apps. Apple’s iTunes store is superior to the Google Play Store in terms of apps for tablets, while Window’s Store lags considerably behind the two. Specifications may not be as necessary in this case, but the tablet still needs to pack a decent punch to handle multitasking between multiple apps without lagging. Tablets may not have had the same level of success as smartphones, but there are still a lot of ways tablets can outsmart a smartphone. 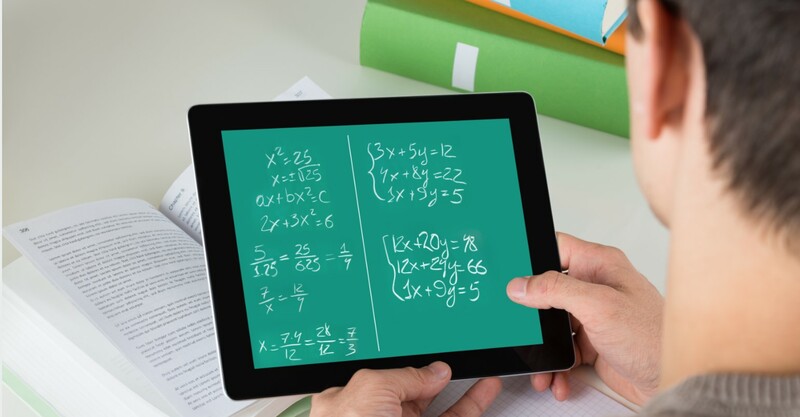 For college use, a tablet can do a lot of things and do them much better than a smartphone. It's easier to take notes on a tablet, watch educational videos, download and read ebooks, and a lot more. Moreover, tablets can also last longer, thanks to huge batteries. 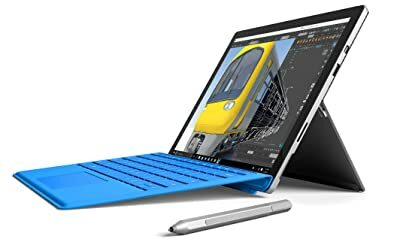 You can either go for the Microsoft Surface Pro 4 which can fully replace your laptop along, and you can go for the affordable ASUS Zenpad S, saving a lot of bucks without compromising much regarding functionality. Apple's iPad Air 2 and iPad Pro are also solid choices, thanks to the tons of apps available in the App Store.